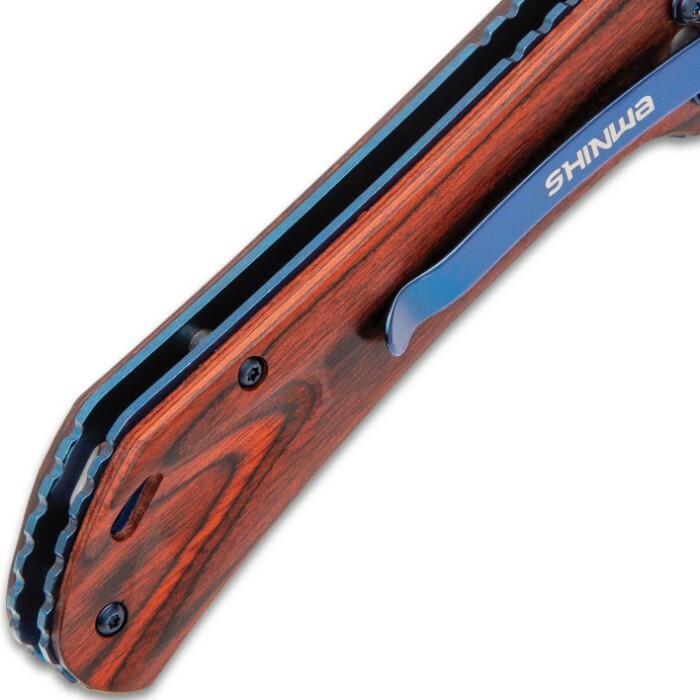 Illustrating the balance of two of earth’s most important resources, our Shinwa Nanashi Bloodwood Assisted Opening Pocket Knife also feels perfectly balanced in your hand. The knife has a 4” keenly sharp dark grey stainless steel blade with a raised rain-drop like pattern and double thumbstuds. 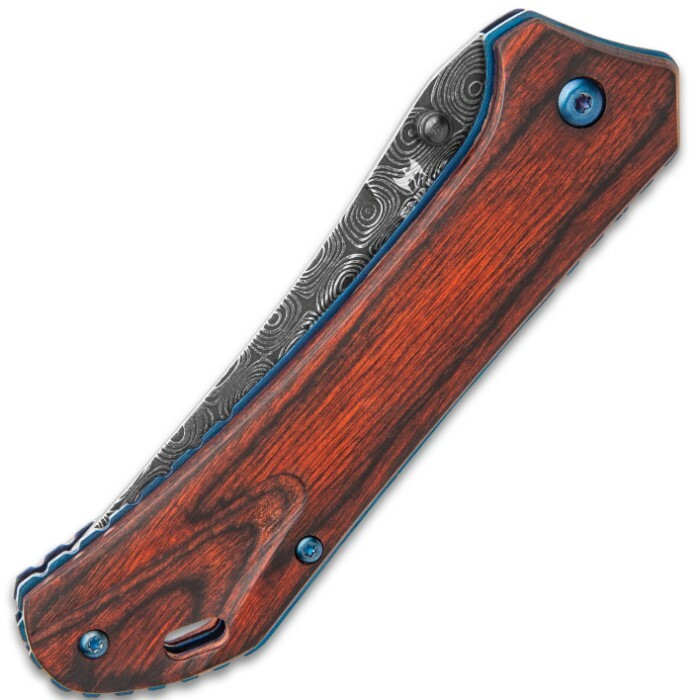 The handle scales are of a reddish-brown wood, secured with metallic blue screws to match the metallic blue liners. 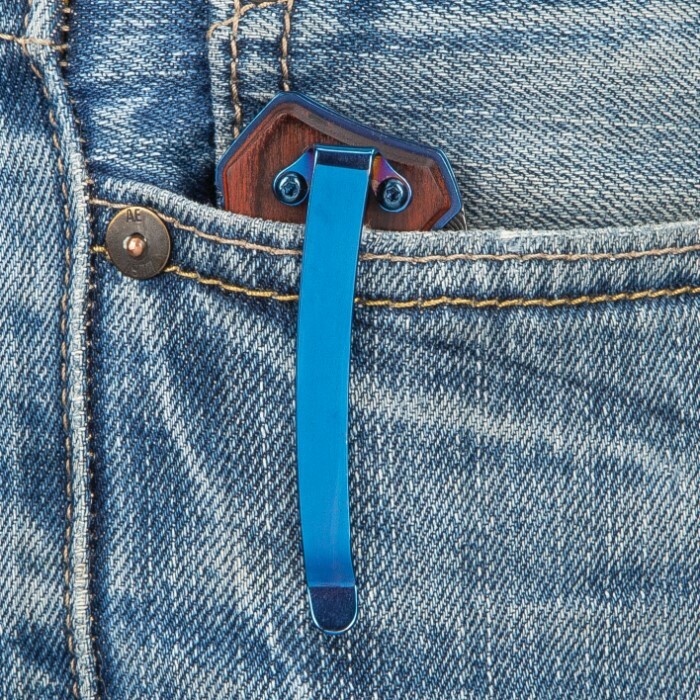 The assisted opening pocket knife is 4 3/4” when closed and features a sturdy metallic blue pocket clip for ease of carry. I was very excited to see this blade pop up, as the original Black Nanashi might be my favorite knife ever. 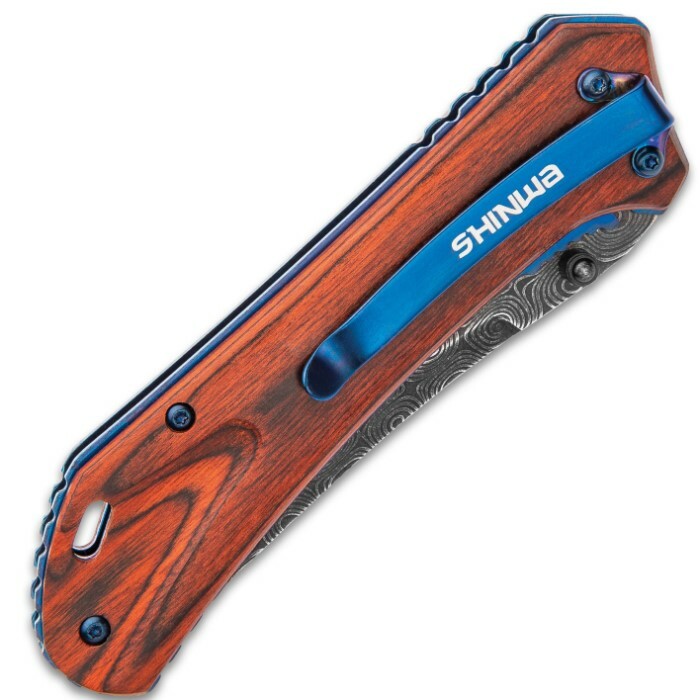 The blade looked amazing, the bloodwood handle looked very cool, and the blue inserts/clip made the knife stand out. I wanted to add it to my Shinwa collection. However, I was disappointed slightly in this one. 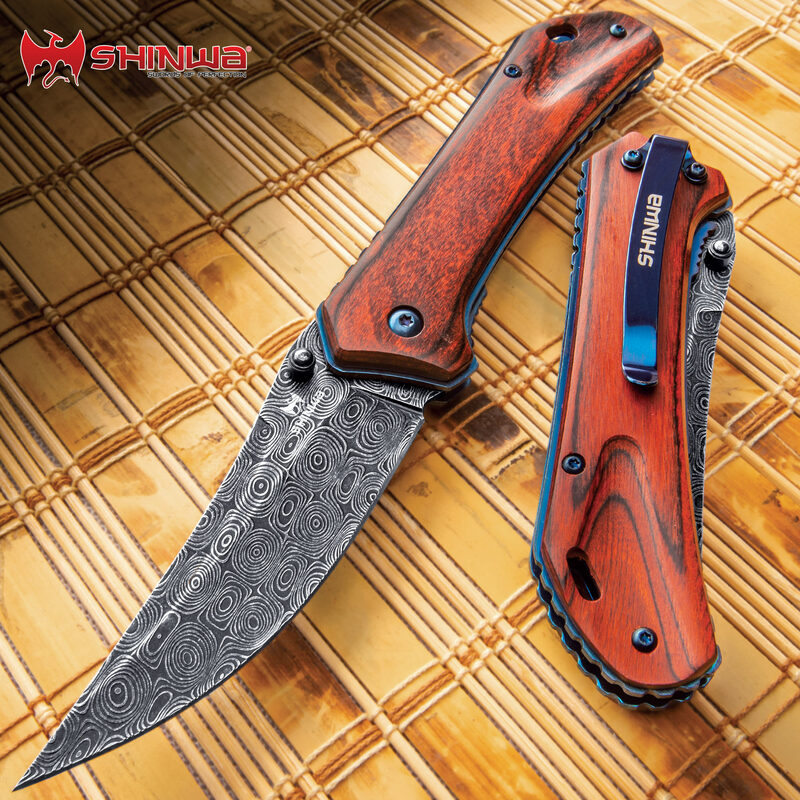 Unlike the original, the blade doesn't open as smoothly with the assisted open. Also, the locking mechanism doesn't seem to engage properly, so the blade won't stay open. I haven't decided if I will be returning this one or not; it's more of a collector's piece than the original Nanashi (which is one of my EDC knives), but I would still like one that works properly. its a wonderful knife, feels great in the hand, good weight to it, perfectly balanced. the only problem was that upon receiving it, the wooden handle was cracked by one of the screws like it was tightened too much. Kinda seemed like this particular one should of went to the scratch and dent pile. 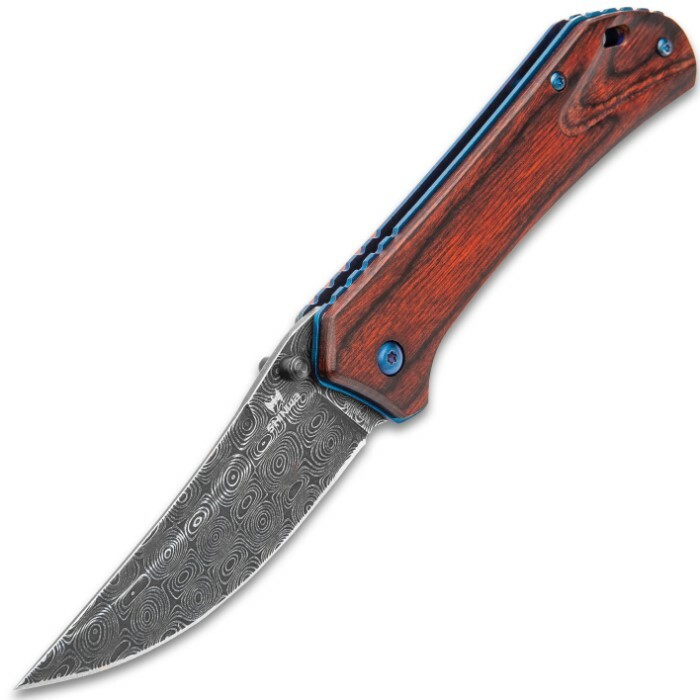 Even so, i liked the knife so much i went ahead and bought another one and hoping this one isn't defected. 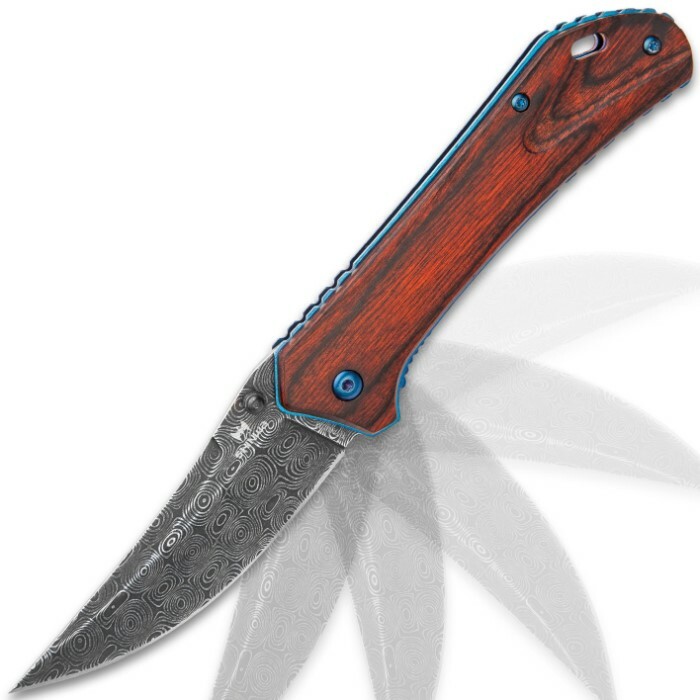 still giving a 5 star rating since i love the knife so much, ha.